Gender politics has been in the headlines a lot lately. Whether you’re talking about the Women’s March, celebrity scandals or the latest pay gap numbers, gender equality is an unavoidable topic. It’s heartening to see however, that when we look at the financial statistics, there have been some encouraging releases lately. The message for this year’s International Women’s Day was “press for progress”. So when it comes to financial gender equality, how can we keep moving in the right direction? There are a few different ideas floating around. Let’s explore a couple of them. There are some aspects of women’s experiences with super that can’t be changed much. For example, women’s balances tend to be impacted by time taken out of the workforce to care for children. While some lobbyists are trying to fix this by changing the law to make it compulsory to pay super along with maternity leave pay, it’s currently up to women to boost their balances. One of the simplest steps women can make towards taking control of their super is to look into consolidating funds. 40% of Aussies still have more than one super account. (iii) Women may be more likely to have multiple accounts, because they tend to have more transient work arrangements to work around family responsibilities. Finding ‘lost’ super can also help. Forgotten accounts and amounts can be found by logging in to your myGov account and connecting with the ATO. Salary sacrificing can also be a worthwhile option to explore in order to boost super balances. Since the start of the financial year, anyone can claim a tax deduction for an after-tax contribution – not just the self-employed. So depending on your tax bracket, you’re not giving up the money until retirement – just until tax time. If you (or a woman you care about) is worried about their super balance, it’s worth looking into. According to a recent survey, only 11.3% of women organise their super through a professional adviser, compared to 14.4% of men. (iv) One bank reported that women are still marginally less likely to get help from a financial planner than men. (v) And they’re roughly 25% more likely to rely on their partner for financial advice. Interestingly (although correlation doesn’t imply causation, of course), women who do consult financial advisers have household assets worth around 60% more. Comparing single women, the difference creeps up to 73%. To cut a long story short, there’s an implied link between financial advice and women being empowered to improve their own financial position. The new generation of scalable, flexible financial advice options are helping with that. New ways of connecting with clients, including via communication technology, may already be helping more women access the advice they need to get ahead. 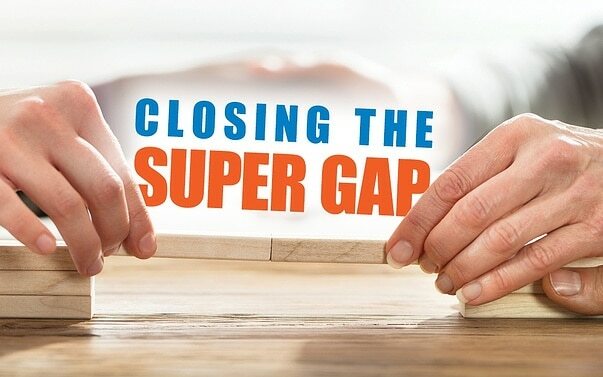 We still have a way to go to achieve financial equality, particularly where super is concerned, however little steps taken today can help continue to close the gap.